In this digital-centered age you cannot do much without data or Wi-Fi connection. Honda recognizes this need and has duly responded with the production of the 2018 Honda Odyssey. It is an industry first – the first minivan manufactured with 4G LTE in-vehicle Wi-Fi that also offers its customers unlimited data from AT&T. Now you can keep the kids entertained throughout those long road trips or answer an urgent email between stops (remember safe driving rules apply first). You can find the new Honda Odyssey for sale near Fullerton, CA at Weir Canyon Honda. Catering to modern family needs, the 2018 Honda Odyssey has a rear-facing camera (CabinWatch™) which monitors the second and third rows, while a PA system (CabinTalk™) allows you to address any rowdy children in the rear. CabinWatch™ even has night vision capability so you can keep an eye on the kids even in the dark. All parents will also appreciate the noise-cancellation technology and use of dense insulation pads to create the quietest cabin in its class. Easy Access mode – you can remove the center seat while the outboard seats slide laterally through five selectable positions. These allow for easy access and reach for the front seat occupants. Super mode – the driver’s side seat is set to walk-in position for access to the third row. Wide modeM – the center seat is removed and two outboard seats in their outer most positions, providing a wide center walkthrough to the third row. Buddy mode – the center seat is removed and two outboard seats next to each other in the center of the vehicle, giving front seat occupants close proximity and easy reach. Owners can purchase both prepaid and postpaid unlimited data plans from AT&T to enable passengers to stream video and music to the all-new 10.2-inch, ceiling-mounted Rear Entertainment System with DVD, CD, and Blu-Ray® disc capability. It also allows connectivity to up to seven devices so everyone in the family can stream to their particular tastes. Keep your family happy and well-entertained with the new 2018 Honda Odyssey. Browse our huge selection of new Honda vehicles in Anaheim, CA at our Orange County Honda dealership. 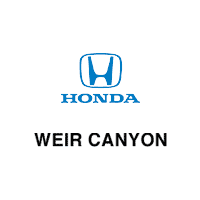 Our sales staff is friendly and capable of answering any questions you may have about any of our latest Honda models at Weir Canyon Honda, including the 2018 Honda Odyssey for sale near Brea, CA!